When it was announced almost exactly a year ago that Warner Bros. was working on a possible Matrix 4 with writer Zak Penn, fans responded with outrage, before the writer made it clear that what he's working on is not a reboot or a remake of the series. The writer made it clear that he has no intention of starting over with the franchise. While the writer was promoting his upcoming film Ready Player One, in theaters March 29, he revealed that his plans for this new project include expanding the existing Matrix universe. Here's what he had to say below, revealing he's been "harassing" Warner Bros. to bring this franchise back for several years. "I've been working on Matrix right now. Which is in...a phase right now. That's a franchise I desperately want to see brought back and, I can't go in to too much detail, but I've been harassing Warner Bros. for years to try to get it going again so that's one thing I'm working on and I've been working on a bunch of other things too. I will fight people who don't under...look, I think OASIS (the interconnected virtual space in Ready Player One) is similar, both the Matrix and OASIS are similar in that they are brilliant ideas for universes. And they are not, you know, when it came out about Matrix, people were like 'Oh no, there going to reboot Matrix I was like, Why, I'm not insane. I mean, The Matrix is still one of my favorite...they'd re-release The Matrix and people would go see it." After the initial news broke last March, there had also been talk that the studio wants Michael B. Jordan to star, while the studio was reportedly looking to set up a writers' room for this franchise. There were also reports that the project was going to be a prequel, with Michael B. Jordan actually being eyed to play a younger version of Morpheus, the iconic character played by Laurence Fishburne in the original Matrix trilogy. 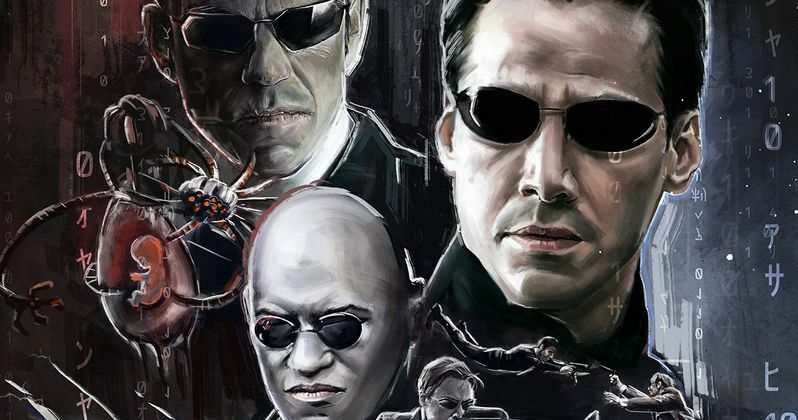 While that hasn't been confirmed at this time, Zak Penn also teased that this new project, whether it be a prequel, sequel, or something else entirely, may not even feature the same characters fans have come to know and love from The Matrix trilogy.
" I was at the premiere and I was still like, this was better than I ever expected. So I just think that universe is brilliant, I think OASIS is like the action-comedy version of that and it doesn't always have to be the same characters, you could go in so many different directions so..."
Zak Penn was brought on last year to write a treatment for this project, and it remains to be seen if he will be writing the screenplay too, or if those duties will be handed off to the writers' room the studio is reportedly developing. There is no director attached at this time, and there is no indication that Lana and Lily Wachowski, the original directors of The Matrix trilogy, will return to the franchise. Writer Zak Penn revealed these new details in an interview with Screen Rant.